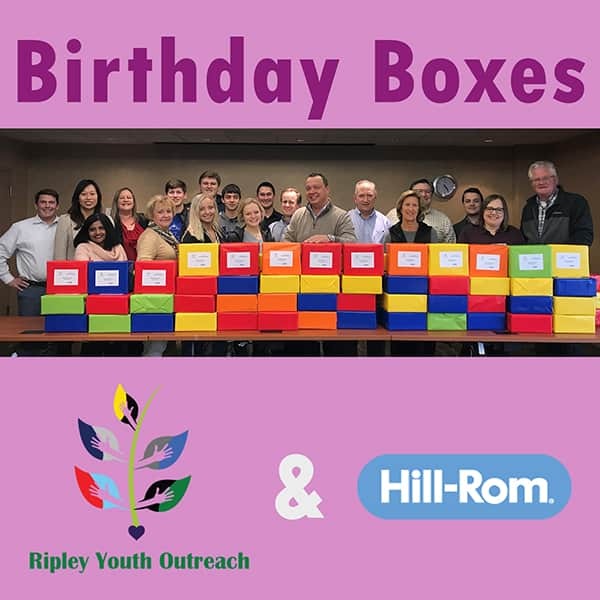 Ripley Youth Outreach and Hill-Rom IT Group packaged 100 birthday boxes for distribution at our Ripley County Food Pantries. These birthday boxes will be given to families, whose parents are served by our local food pantries, for the birthdays of children 10 and under. The packages will give the children the opportunity to celebrate their birthday with cake mix, icing, candles and balloons.